I revel in the fact that I work in an office where painting your nails at your desk is not frowned upon (#winning). 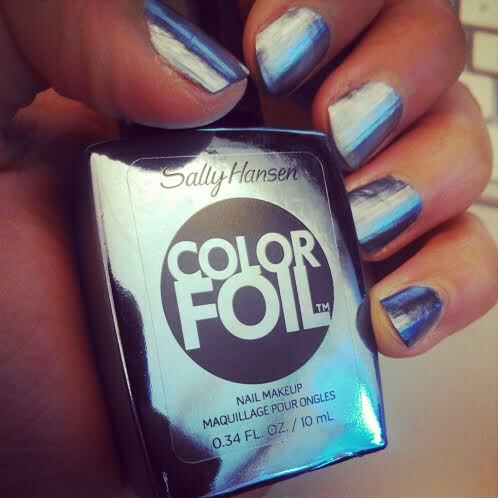 Today I played around with Sally Hansen’s new Color Foil Nail Makeup in Leaden Lilac. Just one coat is enough for an opaque, rich coat (perfect if you need a quick polish fix and don’t have a lot of time on your hands — no top or base coat needed). Love that it looks like metal on my nails. The collection will be available in 10 shades for $8 starting in June!